Monitor your baby, pet, home, business, traffic, and weather remotely and securely (no data being sent to 3rd parties). tinyCam Monitor provides best value to customers. Buy now to get more features in future updates for free! – Intuitive interface. See the screenshots to appreciate the quality of the app. – H.264 codec (SW and HW) support for FOSCAM HD models (FI9821W, FI9826W, FI9831P, etc.). – MPEG4/H264/H265 for many cams via RTSP protocol. – ONVIF Profile S 5,000+ cameras support. – M-JPEG devices support of all major vendors (150+). – 2-way audio (talking and listening) for Amcrest, Axis, FOSCAM, Apexis, Loftek, Mobotix, Tenvis, Wanscam, Wansview, Hikvision, INSTAR, upCam, and more on the way! – 1-way audio (listening) for D-Link, Edimax, Panasonic, SONY, Sharx Security, TRENDnet, Y-cam, Sricam (selective models). – 14 different layouts with unlimited number of cameras. 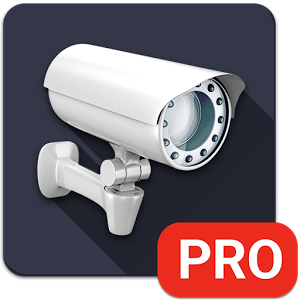 – 24/7 MP4 video recording (Android 4.3+) on local storage/SD card and JPEGs recording to the cloud (Dropbox, Google Drive, Microsoft OneDrive, Amazon Cloud Drive) and FTP/FTPS server. – Group cameras by tags. – Easy to use pinch to zoom for digital zooming. – Import/export settings to SD card or cloud service. – LAN scanner for automatic cams detection. Have a camera IP address suddenly changed? It takes couple minutes to fully rescan your home network. – Widgets and home shortcuts. You can purchase a license on one device and then install on many more, if the same account is being used on these devices. – Less memory use for MJPEG streams. – Fixed authentication dialog crash. – Switching off notifications in app drawer also disables recording on motion.